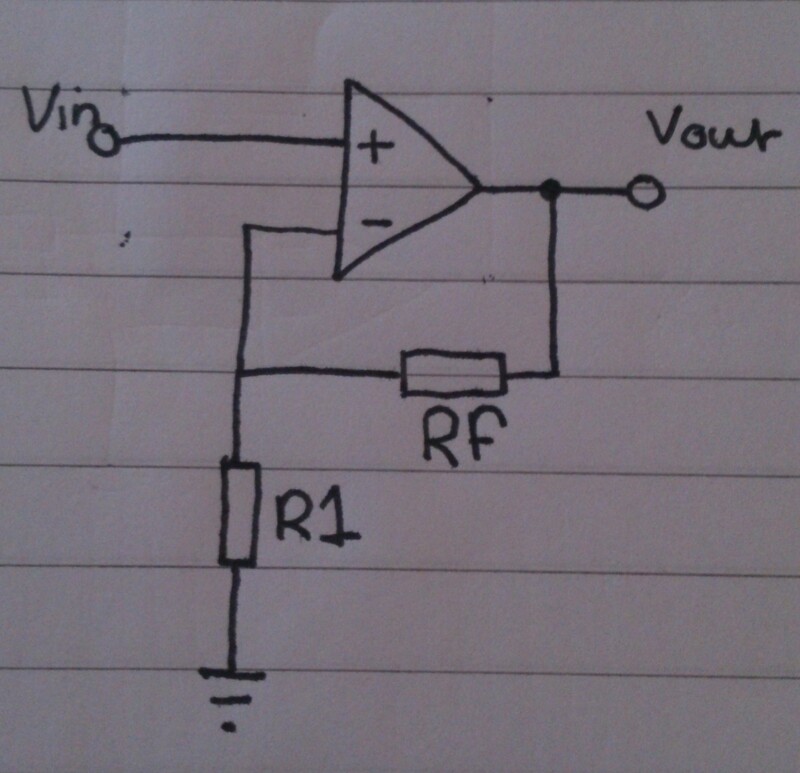 A Non-inverting amplifier increases the amplitude of a signal. Its input resistance is that of the op amp itself (infinite in an ideal op amp), which makes it perfect for amplifying small signals, that can provide very little current on their own. One thing to note quickly. The output can never be higher than the positive supply voltage, or lower than the negative supply voltage. This entry was posted in electronics, Op Amps and tagged Electronics, Op Amp, Operational Amplifier, thelectronics. Bookmark the permalink.